I'm often asked by customers and others, 'What's the difference between a hatter and a milliner?' I'm also frequently asked what are the differences between men's and women's hats, and the materials used to make them. To explain, a bit of history is in order. As many of you may have noticed, there are a number of different words used to describe hat-making and the people who make hats. While 'hat-maker' is fairly generic, the terms 'milliner' and 'hatter' tend to get used interchangeably these days, but they actually have two very different meanings. 'Milliners' make women's hats. Women's hats and the process of making them is called 'millinery', and a hat shop that sells them is known as 'a millinery'. 'Hatters' make men's hats. 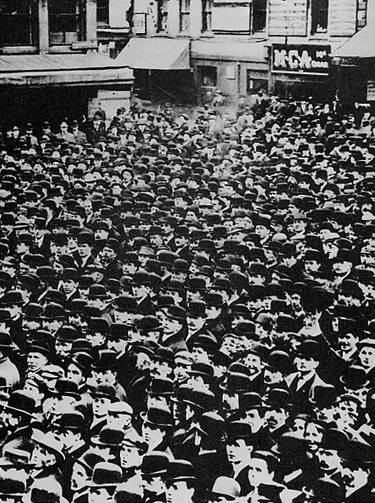 The process of making men's hats is 'hattery', and a men's hat shop is called 'a hattery'. Why the distinction? Until the early 20th century, the two disciplines- making hats for women or for men- used totally different techniques and materials, and many differences between them continue today. 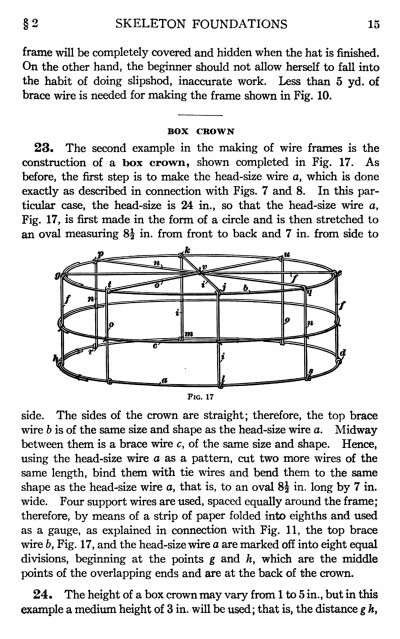 Traditionally, most millinery was made of fabric layered and stretched over a rigid core of starched linen or buckram, usually with a wire frame skeleton to hold the shape, like the one shown in this page from an early 20th century millinery manual. 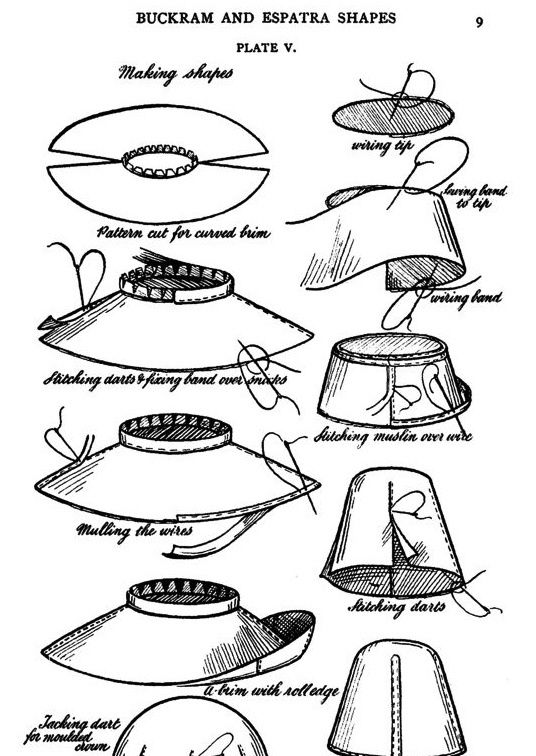 The millinery-style hat was constructed of flat pieces (as seen below), sewn together mostly or entirely by hand, and to a lesser extent by sewing machine. The process required some special materials, but otherwise had a lot in common with garment construction and required few special tools other than those needed for hand sewing (needles, thread, a thimble, etc.). 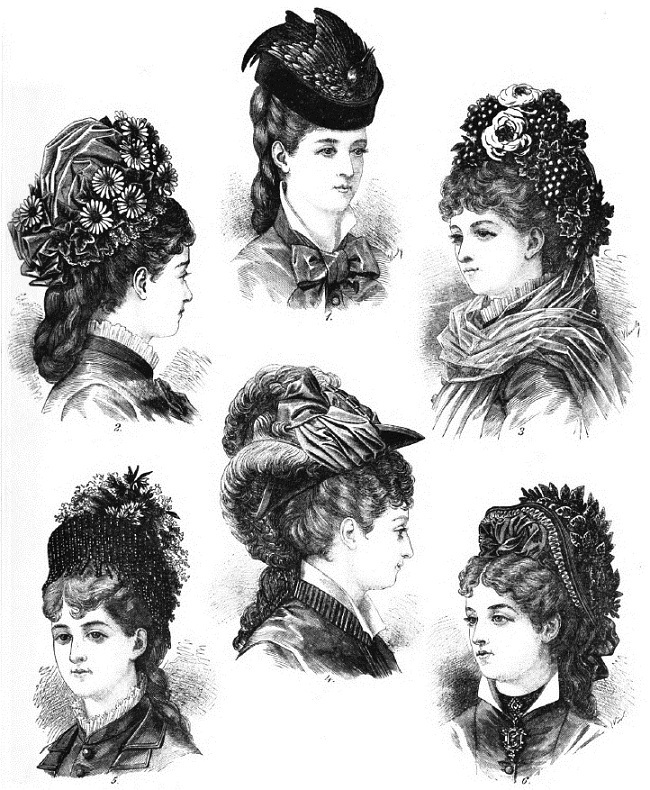 The exterior fabric was often matched to a particular outfit, but the focus of ladies hats was usually on the trim- ruffles, fabric flowers, ribbons, veiling, feathers, beadwork, passementerie, faux fruit and foliage, often piled so high that the shape of the hat itself was hardly visible. While this millinery process was the norm for centuries, ladies hat making now mostly employs techniques and materials (i.e. blocking with felt) from the men's hat making tradition, in part because of changes in fashion (more on this below), and also because blocking a felt or straw hat is a lot faster and easier than sewing together many layers of fabric and other stuff to make one hat. Ladies' millinery of this older type is now rarely commercially made outside of the luxury market and theater costuming. Men's hats were traditionally produced in a very different way- felt or straw molded to a shape, using wooden hat blocks and specialized hand tools. Read this post for more information on hat blocks and how they're used. Whereas millinery was mostly constructed using a pretty basic sewing kit, hattery is relatively tool- and equipment-heavy. 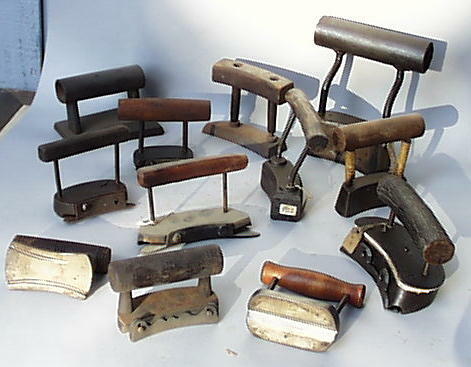 Toward the end of the 19th century, a number of specialized tools and sewing machines for men's hat making were invented and produced by companies like Singer and Wilcox & Gibbs, to do things like sew in leather sweatbands, create welt brim edges, sew on edge binding, etc. For those (like me) who LOVE tools, there is so much to geek out on and learn about and collect, from blocks to conformateurs to hand tools like those pictured below. The men's sizing system was different than that used by millinery, their linings were constructed differently, and whereas ladies hats usually have a soft fabric ribbon for a sweatband, hattery calls for a stiffer leather band inside. Rather than relying on a wire frame to provide structure for the hat, the body of the hat itself was stiffened (with various additives, like gelatin, glue or shellac) to give it more structural integrity. Although a man's hat might be trimmed with some feathers, ribbon, etc., the shape of the hat itself was the focus of the design. 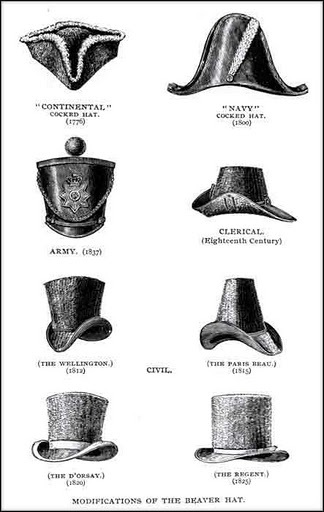 All of these differences in material and design require different techniques for construction and finishing of the hat. 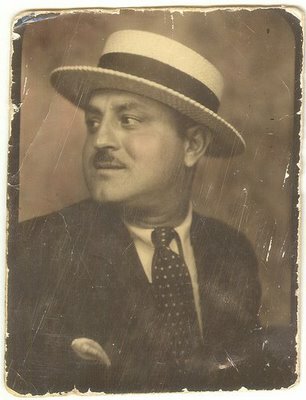 Throughout history as today, men's hats have been more standardized than women's hats in style. While millinery usually offers novelty and variety, hattery tends fall into a narrower range of identifiable shapes like the bowler, homburg, and ever-popular fedora. Men and women have both long worn hats made of straw, either woven into a basic hat form and then blocked to the desired shape, or spiral-sewn into shape from ribbon-like strips of straw braid. But, the design and finishing of a straw hat would be different depending on whether it was intended for men or women. In the late 19th through the early 20th centuries, boaters and other straw hats were incredibly popular for both men and women. 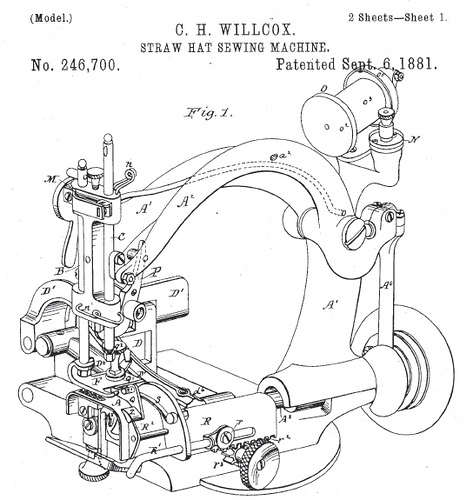 The sewing machine company Willcox & Gibbs even produced a machine with a special braid-guide so that spiral-sewn hats could be made more quickly, easily and accurately. 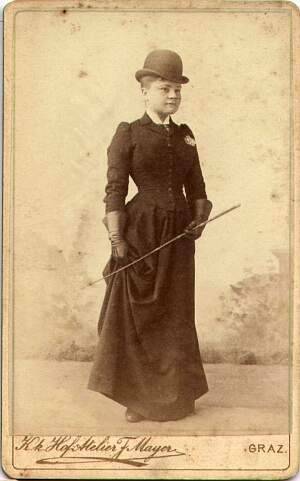 The following photo of a Victorian-era lady wearing a dashing equestrienne outfit is another good example of a menswear-for-women mash-up. Although it hardly appears so to modern eyes, at the time this ensemble would have been considered very masculine, because of the tailored simplicity of the clothing and the rakish men's-style bowler. Although this was a popular sportswear look during the 19th century, it would have been considered inappropriately cross-dressy if worn in any other context. So, felt hats for women were then still only a small and specialized part of the lady's hat wardrobe. 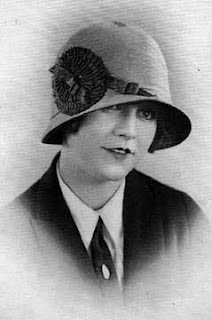 Felt didn't make real inroads into millinery until the invention of the cloche hat style in 1908 by Parisian milliner Carloline Reboux. These soft, close-fitting hats had relatively simple and minimal decoration, perfectly matched to the modern spirit of the Art Deco era. 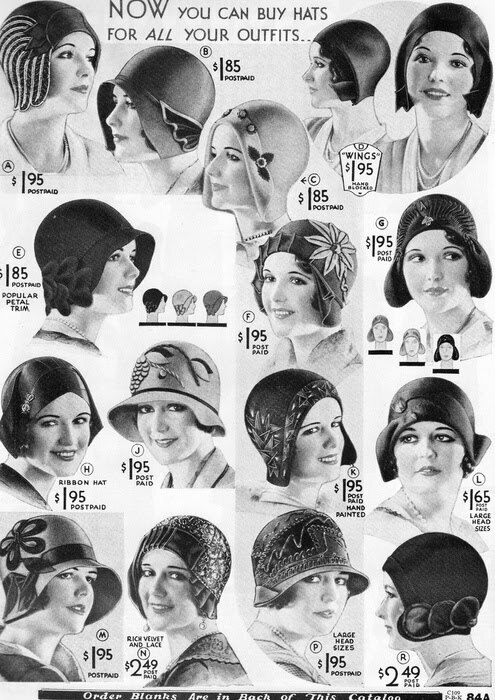 They were wildly popular through the 1920s and early 1930s, supplanting most other ladies hat styles, and even influenced many women into cutting off their long hair into the short, boyish 'flapper' haircut that best coordinated with its shape. 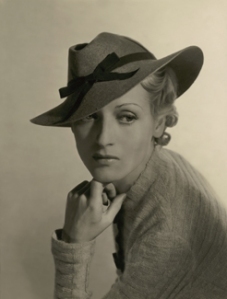 It's clear that the cloche's design drew inspiration from the headwear worn for adventuresome pursuits popular at the time, like aviation and world travel. 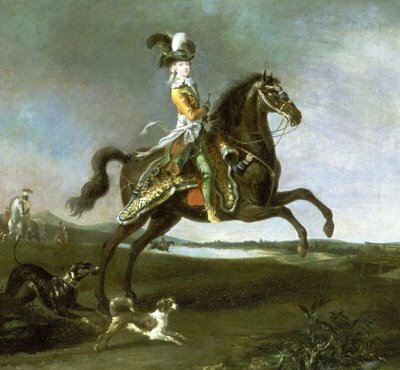 With its simple lines and straighter silhouette, women's clothing in general during this period was considered to be more masculine-looking than what came before. Cloches required a very different type of felt than that used for men's hats. Soft, thin felts were needed to get the right look, similar to the soft leather aviation helmets of the time. Although there are many different types and weights of felt available today, 'men's felts' still tend to be thicker and stiffer, whereas 'ladies' felts' are thinner and more flexible, requiring different finishing techniques. 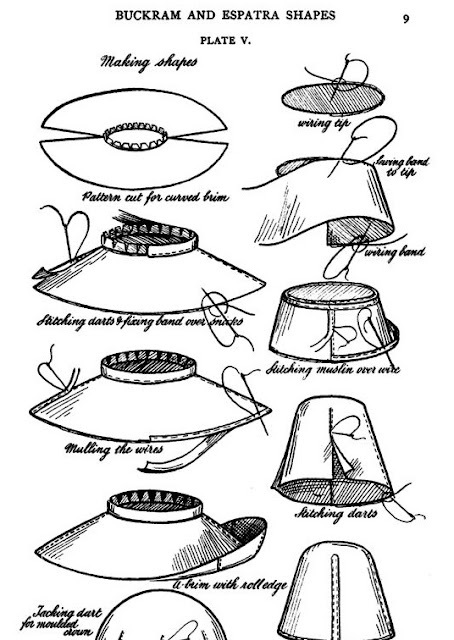 New materials for the core layer in sewn millinery were also developed around this time, mostly replacing the old-fashioned cardboard-like buckram, to give some structure to a fabric-covered hat while allowing it to be pliable enough for comfort in the new head-hugging styles. 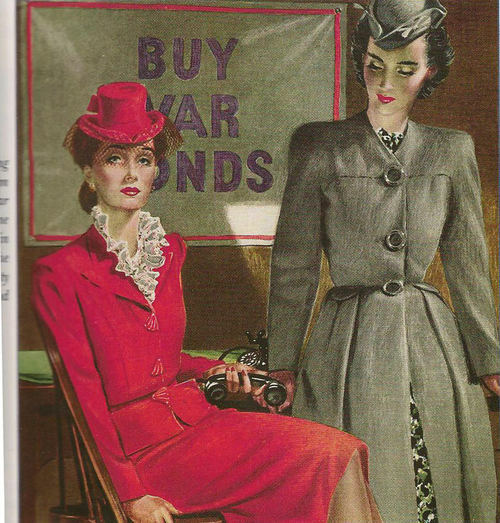 During the 1930s and 1940s, ladies clothing took even more cues from menswear, as tailored suiting became a major trend. Mens-wear inspired hat styles for ladies became predominant, and soft felt hats based on fedora and top hat styles were very popular, but constructed differently- softer materials, ribbon sweatbands, etc. 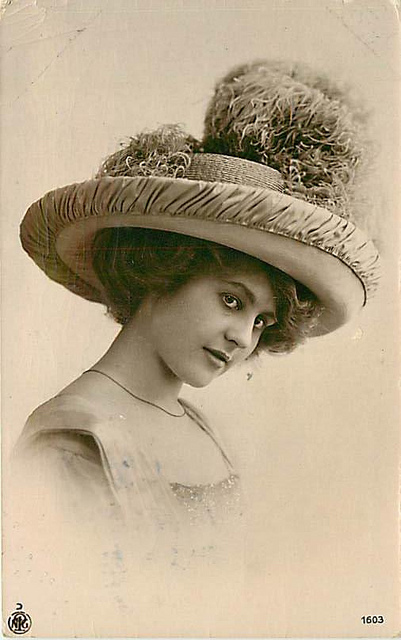 The trim was feminine but usually minimal compared to the excesses of earlier millinery. These trends have continued through today. 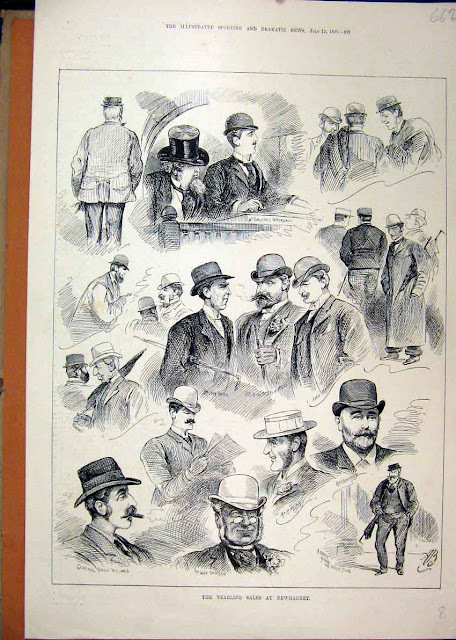 Meanwhile, during the late 19th century and through the 20th century men's hats changed as well, as men's fashion became more and more casual with each generation. 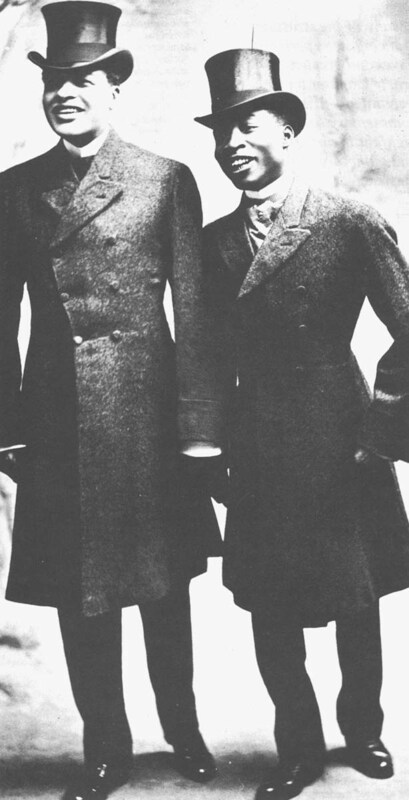 Around 1900 bowlers and homburgs overtook the top hat, followed by fedoras around the 1920s. The soft fedora has remained the most popular men's hat style from the 1920s on, with variations in brim and crown shape and size following the fashion of the times, but it still retained a heft and more tailored construction than ladies' hats until recently. Over the past 50 years, casual styles for men and women have drifted even closer together. After a few decades in which hats were out of fashion almost entirely, fedoras have made a major comeback during the 21st century. Men's mass-market hats now often use softer, less structured materials (sewn and then blocked fabric hats are currently very popular), and have fabric or ribbon sweatbands instead of leather, and are for all intents and purposes unisex in style. Ladies' mass-market millinery continues to offer a slightly wider range of styles, but tends to focus on vaguely menswear-inspired shapes feminized through color and trim choices. I'm talking about the cheap-to-mid priced hats you see all over, by companies that are using factory or overseas production and cutting corners to make products in large quantities as cheaply as they can. This is ok, if you're just looking for a disposible hat to knock around in, but the end result is a bit bland and lacking in quality. And really, if the quality is not very good the hat probably does not last very long. Do some math and divide the retail price by how many times you can wear an item before it wears out, then consider how much you're paying for it per wear, and you will find that better quality products that last a long time are less expensive than you thought, and that 'cheap' products may actually be more expensive than high-end ones. The good news is that if you're looking for a really great hat, there are a number of high-end hatters and milliners working around the world who can still offer distinctive products made with traditional construction techniques, who still invest time and better quality materials to make something really special. I'm proud to be one of them. Personally, although I'm very interested in the history of fashion, I don't feel the need to follow just one tradition or stick to just one set of rules. Traditions are great because they often involve things that started out good and have been developed and improved upon over time, and we ignore them at our peril. But having learned enough to know what it's good for, there's no point in following a tradition unless it does what you need it to do. Although most high-end hat makers choose to specialize in just one or the other, I continue to seek out and learn as much as I can about traditional millinery and hattery to have as many techniques at my disposal as possible, and then pick and choose among them to apply the right skill for the job at hand. This way, I can pull good ideas from all different styles and time periods to offer my customers the best quality, unique, beautiful products.